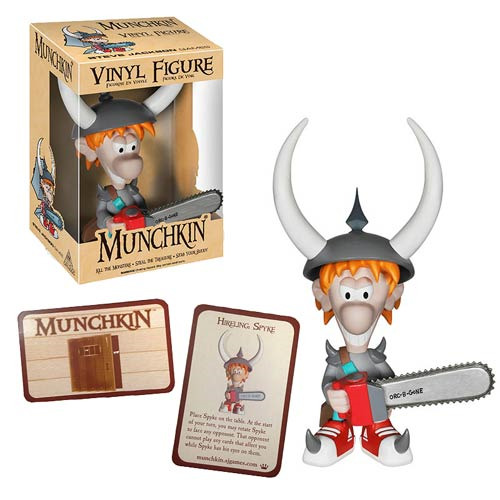 Steve Jackson Games' popular Munchkin series gets its own vinyl figure - starting with none other than Spyke! This Munchkin Spyke Vinyl Figure will stand 6-inches tall and come in a window display box. Spyke is displayed with his long horn hat and chainsaw. Also included with the figure is a unique Hireling Spyke Munchkin card. Ages 14 and up.